This chair pad is a fantasy flower. In the hooking world we call this a padula. 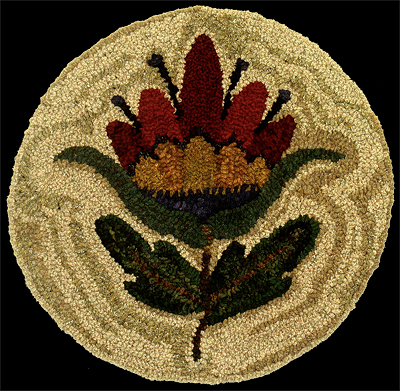 I love flowers and hook many rugs with all different flowers on them. This chair pad will make a kitchen chair or rocker a little softer to sit on. Maybe you will have a second cup of coffee. This piece is hooked with 100% wool fabric.